I have been wanting to try this product since last year (2016) because I have been hearing a lot of positive feedback about this set. However, because I have so much whitening products sent by PR companies, I didn't get the chance to purchase this product because I felt that there were too much in my plate already and spending money for another whitening product wasn't a good idea at all. Last October 2017, I had the chance to use these products because I really can't help but to try them because a lot of my blogger friends are raving about it. So yeah, I gave in and surrendered whatever it is that I'm using during that time to give way to this famous Snow Skin Whitening line. 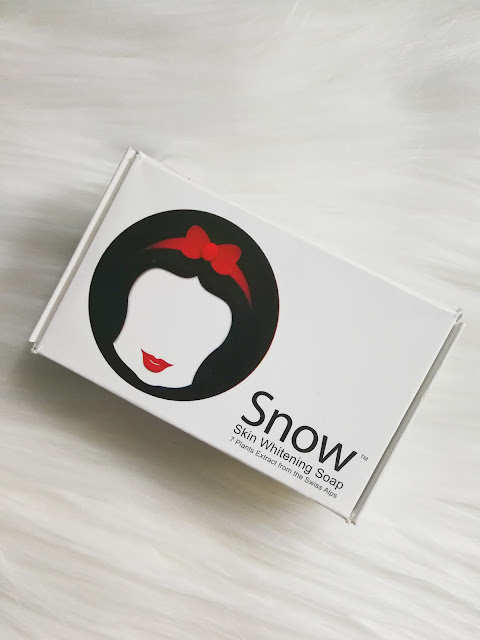 Snow Skin Whitening Products contain 7 Skin Whitening Actives that whiten and lighten the skin while reversing skin problems such as dark spots, age spots, acne marks, old scars, uneven skin tone and melasma. Before we start, I just wanna let you know that I won't be focusing on the ingredients and benefits of each products. You can find those in their Lazada shop by clicking "here". I want this review to be focused on what I like and I don't like about each products. What I like: It's really a mild whitening soap. I rarely use whitening soap on my face and if you guys are following me ever since, you probably know that already. I like how it actually makes my face squeaky clean every after wash without sucking all the moisture on my face. My face looks glowing after washing with Snow Skin Whitening Soap. What I like: This is an ice cold liquid toner fresh from the fridge! Literally, it's the coolest toner I have ever tried. Its coldness is in extreme level! As we all know, even just a cold water has the ability to close our open pores and this product just does that. 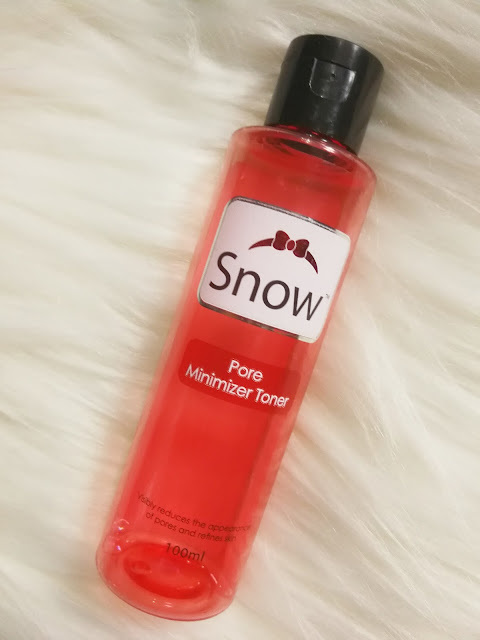 I feel that my face is smoother and better to touch after a month of using the Snow Skin Whitening Toner. What I don't like: Because it's so damn cold and it has that minty feel whenever I'm applying this product, I get tears until the product is fully absorbed by my skin. What I like: First of all, I so love the packaging of this product because it comes in a small airless dispenser. Its pump and transparent plastic crown makes the product undeniably hygienic. 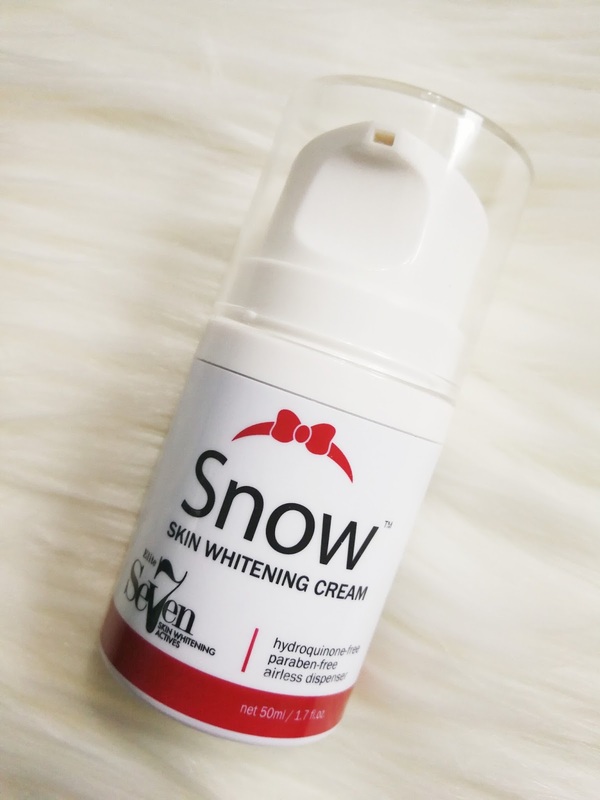 This is actually my most favorite from the Snow Skin Whitening set because it's very lightweight and not sticky at all. It doesn't cause me acne and most importantly, it brightened up my skin. What I like: This has the same packaging as the Snow Skin Whitening Cream the only difference is that, this one is taller, of course. And just like the cream, this lotion is very lightweight and not sticky at all. I love its smell because it relaxes me every time I'm applying this lotion specially during night time. I noticed that my skin is lighter and more glowing compared before. I think it was able to make my skin a shade lighter after finishing one big bottle. What I don't like: Bottle is too big but I don't mind it at all. All in all, this Snow Skin Whitening line is superb! It's the skincare line that is true to its claims and I'm really willing to repurchase it. I highly recommend these products to you my #VanityFriends most importantly to those who are looking for some whitening products that is suitable for acne-prone skin. This is a must try skincare line!